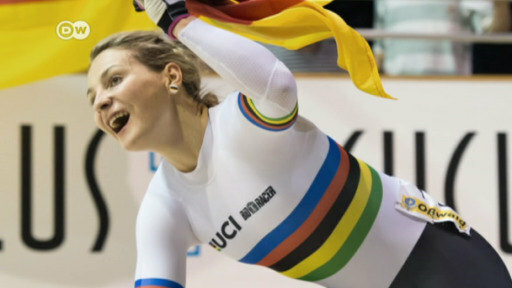 A collision with another cyclist has left two-time Olympic champion Kristina Vogel paralyzed. The accident came during a training session two months ago. Kristina Vogel revealed on Friday that the collision she was involved in on a track in the eastern German city of Cottbus on June 26 had resulted in her becoming paralyzed from the waist down. "It is s***, there's no other way to put it. No matter how you look at it, I can't walk anymore," the 27-year-old German told the Spiegel news magazine. "But I believe that the sooner you accept a new situation, the sooner you learn to deal with it." The Kyrgyzstan native said she knew immediately after the crash that she was paralyzed. "I saw someone walk away with my shoes. But I didn't feel it when they were taken off. I realized immediately now I am paraplegic, there will be no more walking," she said. Vogel was placed in an artificial coma and underwent several hours of surgery in the hours that followed the crash, which resulted in serious spinal injuries, but doctors were not able to save the use of her legs. Until Friday, there had been no updates on her condition since late June. "I didn't want people to see me that injured," she explained. "Now I can say I have reached a point where I can say: here I am and I am fine. I am still the same crazy person. I want to be a source of motivation for others."